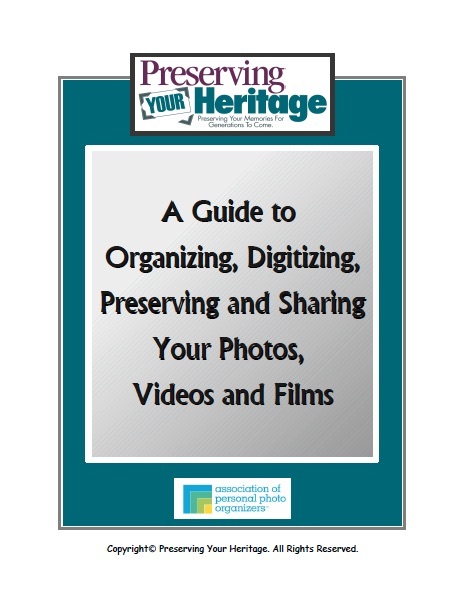 This guide was created to help you decide how best to preserve your photos, videos, films and digital media. It will walk you through the decision making process needed at each step. By following this guide the final result will be a photo/film collection that is safely stored, easily accessible, and beautifully shared. A beautiful, archival box made of acid free, lignin-free materials to keep your photos safe. Comes with 10 small compartments to organize your photos and a large envelope for larger photos, on the underside of the lid. 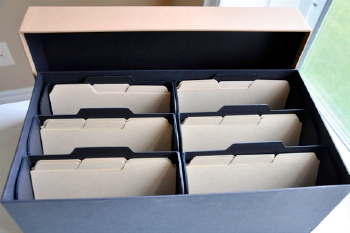 The envelope sits securely on top of the photo compartments when lid is secure. Each compartment contains 6 dividers. Dividers are also sold separately in a package of 20. Holds approximately 2400, 4x6 or 5x7 photos. A beautiful, archival box made of acid free, lignin-free materials to keep your photos safe. Comes with 6 small compartments to organize your photos. 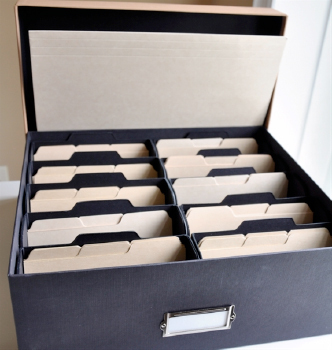 Each compartment contains 6 dividers. Dividers are also sold separately in a package of 20. Holds approximately 1300, 4x6 or 5x7 photos. The Memorabilia box is a companion piece and an ideal home for your important artifacts. A beautiful, archival box made of acid free, lignin-free materials to keep odd size, bulky memorabilia and documents safe. Comes with 2 large envelopes. 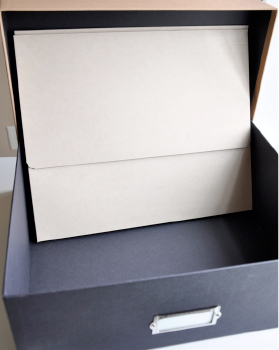 This box is the same size as our large Legacy Box, but without compartments. Customize this empty container using our accessories, or use to store bulky memorabilia. Looking for DIY help? These books will help you on your Photo journey.